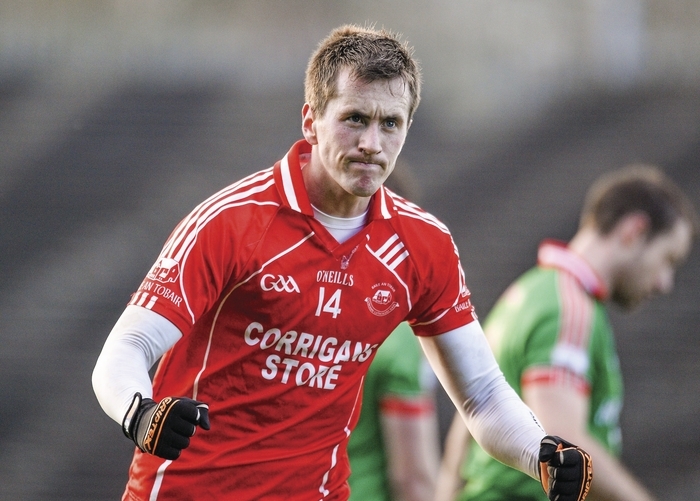 When the big questions are asked the big players stand up and that's what happened on Sunday, when Ballintubber battled their way into their first ever Connacht senior championship final. When the Roscommon champions came knocking, Alan Dillon, Cillian O'Connor, Jason Gibbons and Stephen Broderick all stood up and had the answers for the questions put to them and their team-mates and in a few weeks time, they'll be ready to answer those same questions from Corofin in the final. St Brigid's experience of winning big provincial games when the going got tough was always going to be a factor that Ballintubber would have to contend with at some stage in Sunday's Connacht semi-final in Castlebar. When Frankie Dolan kicked his third point on the bounce five minutes into the second half and leveled the game up, you could have expected the Roscommon champions to start to take the game by the throat and push on home. But Ballintubber had other ideas and when the game was there to be won Alan Dillon stepped up and showed his class. First he kicked a point under pressure after swapping passes with Cillian O'Connor to calm his sides nerves and then a minute later hit arguably the score of the game from well out the park after he was set up by the outstanding Stephen Broderick who put in a man-of-the-match performance in the middle of the field. That left the score at 2-6 to 0-10 in Ballintubber's favour, however St Brigid's haven't been one of the best club sides in the country, never mind Connacht for best part of the last decade for no reason and they came roaring back at Ballintubber. Midfielder Padraig Kelly got in behind the Ballintubber defence and shot for goal, Michael Plunkett pulled off a great block to keep it out. But St Brigid's recycled the ball and it was worked back across the goalmouth and Karl Mannion was on hand to drive the ball to the back of Brendan Walsh's net and put his team back into a one point lead. Padraig O'Connor leveled the contest up shortly afterwards, when his brother Cillian picked him out with the deftest of passes. With a quarter of the game left it was all to play for. The smallest of margins often win big games and the outcome of this game was decided by two plays inside 30 seconds of each other. Ballintubber had pushed themselves two points to the goodwith Broderick getting a point that his display deserved and Alan Plunkett kicking his second point of the afternoon, following a sensational pass from Padraic O'Connor. Then St Brigid's were awarded a free close in on the stand side of the field, Senan Kilbride lined the ball up and surprisingly pulled his effort wide of the far post. From the kick-out Brendan Walsh found Jason Gibbons, who laid it off to Broderick who drove right through the heart of the St Brigid's defence. He slipped in Cillian O'Connor who was able to create the inch of space he needed to drive the ball past Shane Curran in the St Brigid's goal and more or less, seal the win. If Kilbride had landed his point it would have cut the gap to just a single point, but instead his side found themselves five behind with ten minutes to go and on the ropes. But credit must be given to the Roscommon champions, they never threw in the towel and Frankie Dolan kicked two points along with substuite Adrian Gleeson tapping one over the bar to cut the gap back to two points as the game ticked into injury time. The final word was left to O'Connor who two minutes into injury time stroked over his fourth point of the day and put the full stop on an pulsating encounter, between two teams who gave it their all over the hour. It was the Roscommon men who started the game the brightest and raced into a 0-2 to 0-0 lead after only two minutes through points from Paddy Mulvihill and Frankie Dolan. The point from Dolan was an fantastic score, hit on the turn from well out the field under pressure from his marker. Padraic O'Connor got Ballintubber motoring when he landed a 45' six minutes in, then Alan Plunkett and Senan Kilbride swapped scores before Ballintubber crashed home the first of their three goals. Stephen Broderick swept in the ball from out on the sideline, Cillian O'Connor got above his man and flicked it down to his brother Padraic who rifled it low past Curran. Cillian followed that score up with his first point of the day shortly afterwards, then Brigid's responded with two of their own from Karol Mannion and Senan Kilbride. Four minutes before the break, Ballintubber hit the back of the net for the second time when Alan Plunkett finished off a move he started off in his own half-back line before the ball passed through the hands of Jason Gibbons, Stephen Broderick and Diarmuid O'Connor. Senan Kilbride kicked two points from frees before the break with Cillian O'Connor adding on one for his side to leave the score at the break Ballintubber 2-4 St Brigid's 0-7, setting up the second half nicely.